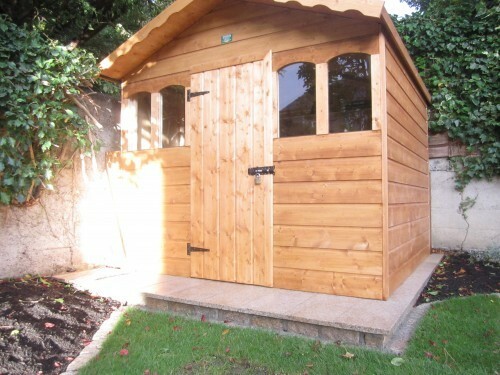 As part of our garden design and build service we supply and install garden sheds into our gardens. These structures are custom built to fit into any space. 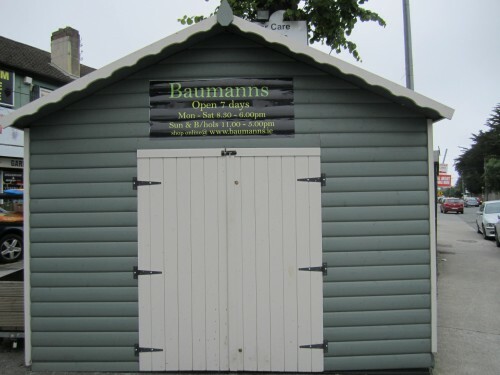 We provide sheds of all shapes and sizes, with the client having control over design, including, number of windows, doors, shelving, colour etc. 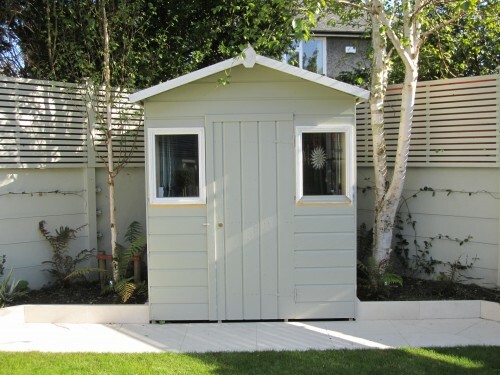 The majority of garden sheds on offer come in different shades of brown and are constructed with native unplaned boards. 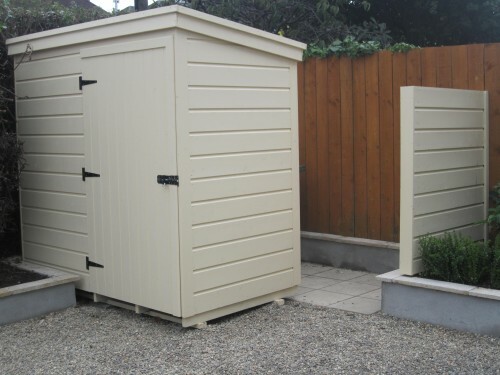 Our sheds however are finished to the highest standard with planed Scandinavian deal weather sheeting and an endless number of paint colours to choose from. The paint we use is from the Cuprinol range and is specially designed for use on timber. 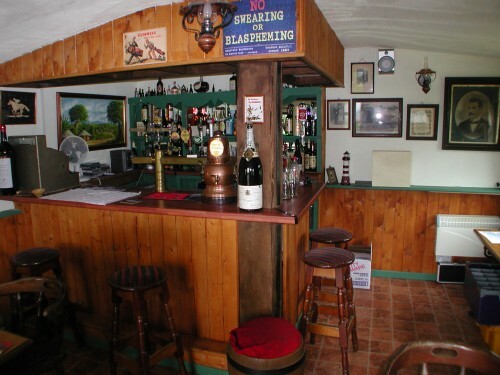 This paint allows the timber to breath and provides excellent preservative qualities. Each structure is painted twice, after which we advise re-painting every 5 years to give an excellent life span of over 20 years. 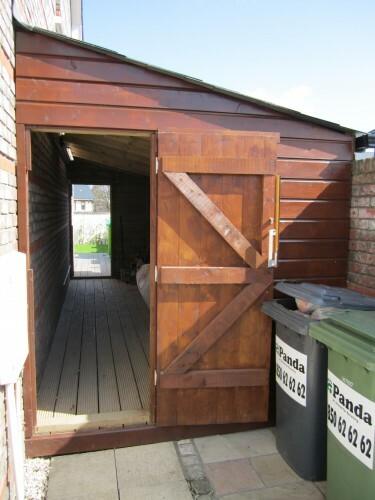 The painting and finishing of our sheds is unsurpassed and great value. 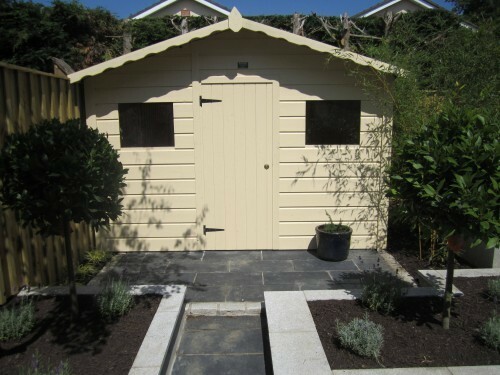 Once a shed was something you would try and hide in your garden, not any more, our garden buildings become a feature within the garden. 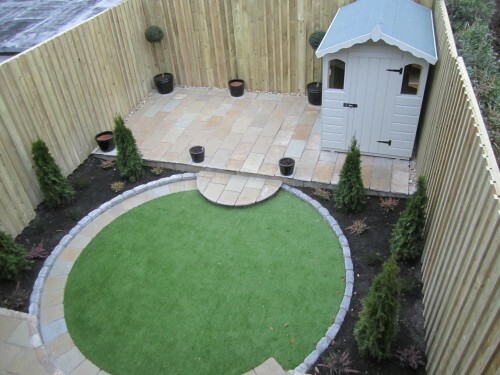 They provide a focal point in the garden with a place for paths to lead to and add another dimension to your garden. 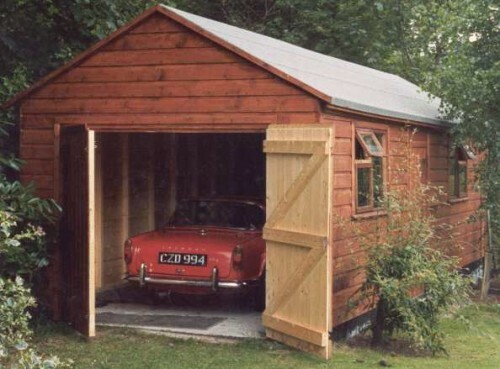 Each of our garden buildings are built to last. The the timber we use is imported Scandinavian white deal. 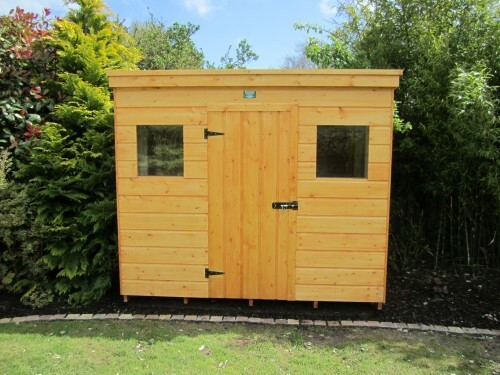 On arrival this timber has a very low moisture content, which means there is very little expansion or contraction, maintaining a high standard and finish. The boards are 6×1″ weather sheeting specially designed to allow water to flow off the boards. 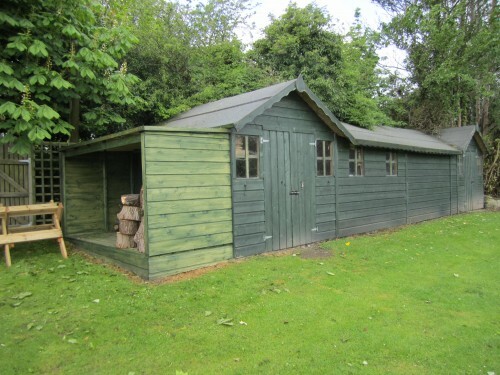 The battons we use are 3×2″ which give the shed great structural strength, the majority of sheds use 2×2″ or worse still 2×1.5″ . The roof and floor are built using Scandinavian white deal thongue and groved 6×1 boards, again of 3×2″ battons. Finally and maybe the most important part is our super strength unrippable polyester felt finish. 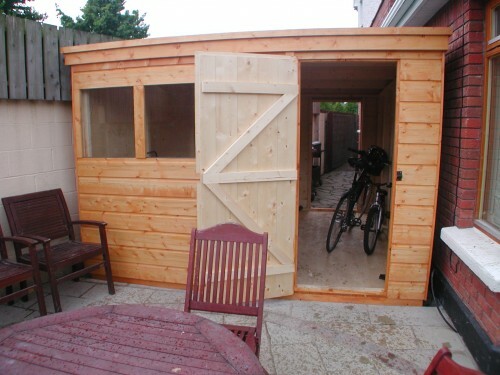 Most shed manufacturers use ripple mineral felt which is of a far lower standard. 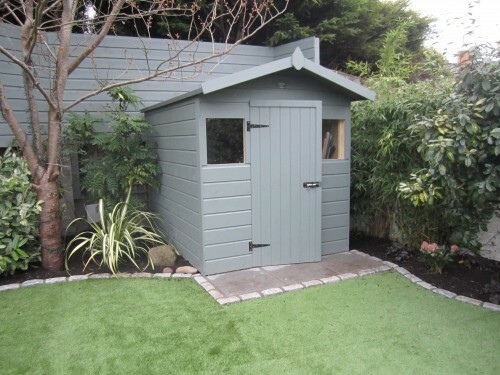 Depending on budget we can finish our roofs with synthetic grass which gives a super look to the shed an further enhances the look of our gardens. 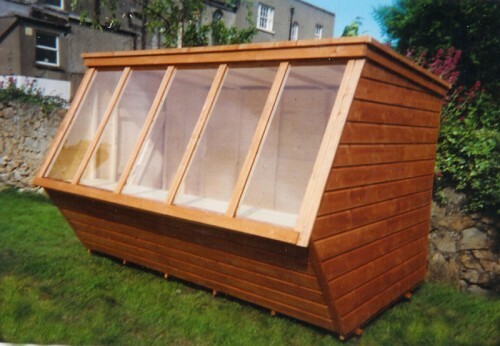 The type of garden building we build is only limited by your imagination. 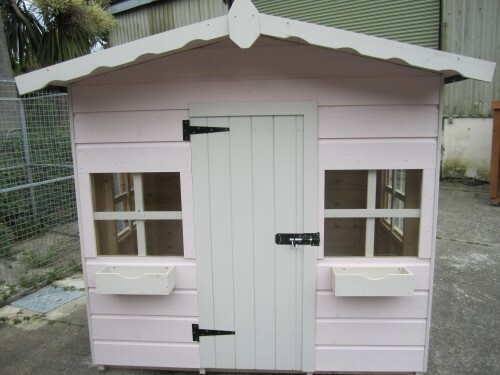 We have built houses still going strong after 40 years, sheebeens, potting sheds, tree houses, sun houses, octagonal sheds, play houses for the kids, bike sheds, offices, the list is endless, your design is our challenge. 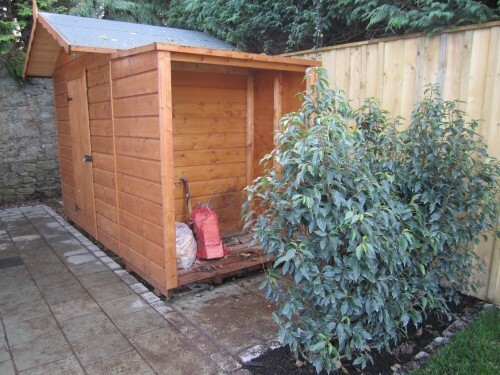 If you require a shed for an established garden or one incorporated into a new garden design we can oblige. For an award winning garden designer/contractor to build your dream garden, contact Kevin Baumann on 086 8198444. 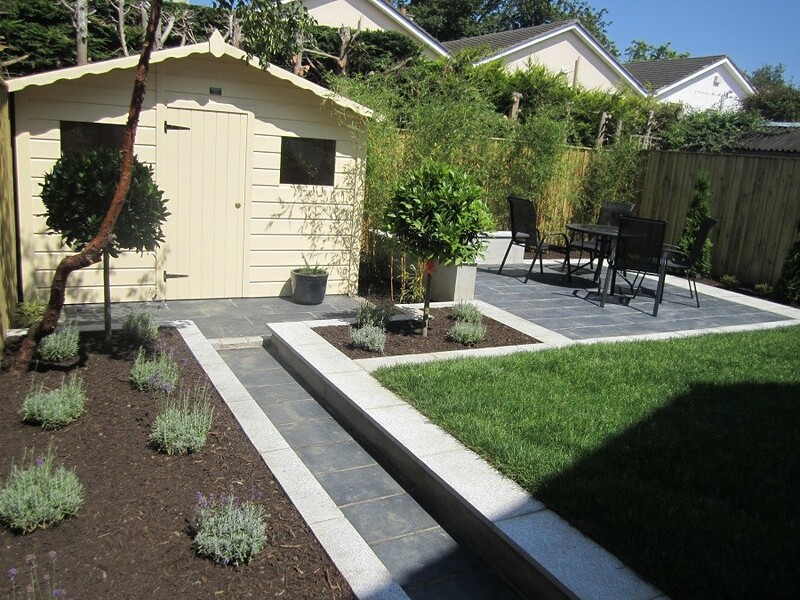 Previous: Landscaping Dublin Project, Leopardstown, Co Dublin.